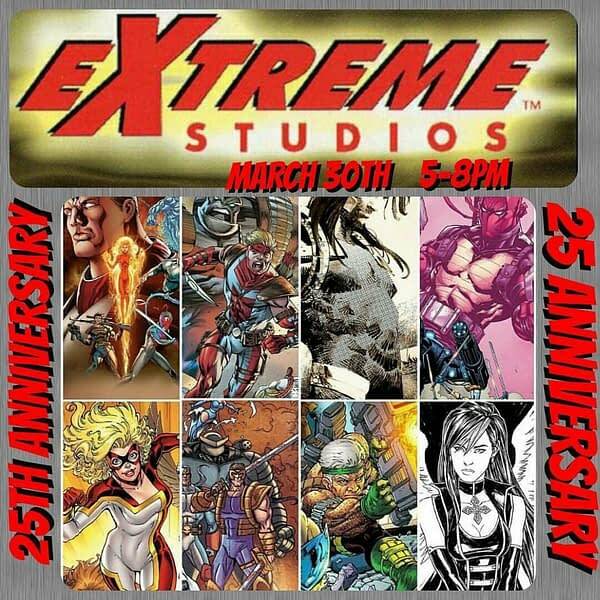 25 years ago, Extreme Studios launched as part of Image Comics and produced series like Youngblood, Bloodstrike, Brigade and more. 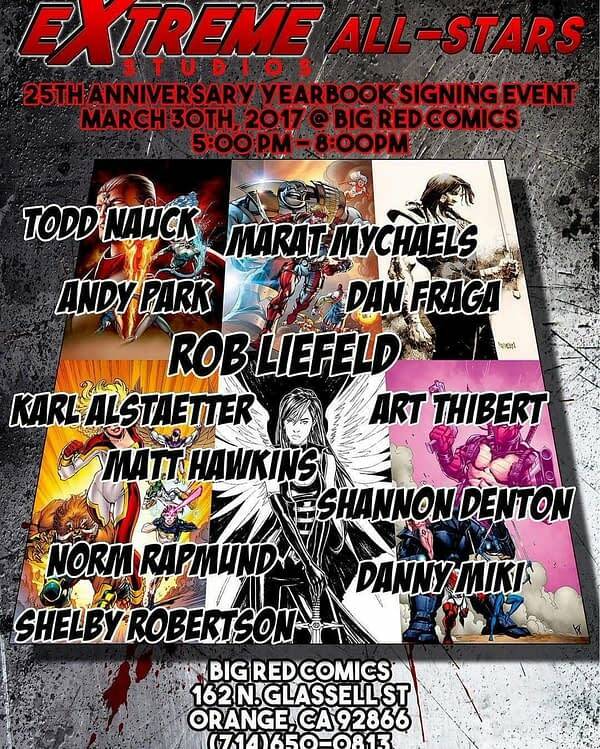 It was also the home for creators like Rob Liefeld, Marat Mychaels, Matt Hawkins, Dan Fraga, Todd Nauk, Andy Park, Shannon Denton, Art Thibert, Norm Rapmund, Danny Miki and Shelby Robertson… all of whom are going to get together this Thursday, March 30th, at Big Red Comics in Orange, CA. Hard to believe that all of those talent people came out of one studio. I may have to head down there myself. The will be doing an anniversary thing at Wondercon as well, but you can skip the con and see them a day early. The signing is from 5-8 pm at Big Red Comics, 162 N. Glassell Street, Orange, CA. 92866.